Our optometry office doesn’t just check the health of your eyes each year, we use the latest and most scientifically advanced treatments to prevent further damage caused by eye diseases like macular degeneration, glaucoma, and retinopathy. Our optometrist suggests that as we age it is important to regularly take eye vitamins full of key nutrients like lutein, zeaxanthin, and Omega-3s to preserve and protect ocular health. 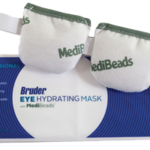 Bruder Mask: If you are a frequent sufferer of dry eyes the Bruder Mask is a perfect product for you. This re-usable eye mask is like a mini-spa for your eyes. Warm the mask in-home in just a few seconds, place on your eyes for 10-15 minutes, and relax as your natural oils lubricate your achy eyes for instant dry eye relief. 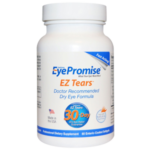 EZ Tears: A daily eye supplement to relieve dry eye sufferers from dry, itchy, irritated eyes. EZ Tears contain Omega 3s, EPA & DHA blend, an anti-inflammatory agent that allows a better balance of natural tear production. By supporting your eyes natural tear production, EZ Tears will: begin working in as little as one week, soothe burning/itching eyes, improve daily contact lens wear, and reduce eye drop usage and eye strain. 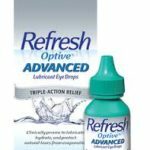 Refresh Artificial Tears: These eyedrops are a handy treatment you can use anywhere and anytime to relieve irritated, dry eyes. Use them once or use them multiple times a day whenever your eyes need a pick-me-up. You’ll soon find that your eyes are naturally more lubricated and refreshed. 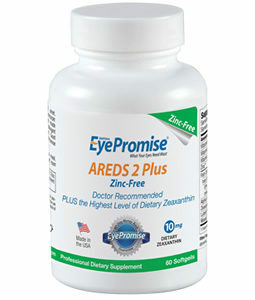 EyePromise AREDS 2 / AREDS 2 Chewables / AREDS 2-zinc-free Eye Vitamins: These eye vitamins are packed with the highest concentration of Zeaxanthin (a powerhouse nutrient found in foods like orange and red vegetables and paprika), Lutein (derived naturally from marigolds) and Omega 3s (from Alaskan Pollock), these crucial nutrients work together to support eye density and thickness, sharpen central vision, and increase visual acuity, for optimal eye health. The AREDS 2 eye vitamins are a key defense for preventing age related eye diseases. Call today to ask about our convenient easy-ship subscriptions to receive your eye vitamins delivered straight to your door. It’s never been easier to maintain your eye health. Subscriptions are currently available in 3 month dosages or bi-annual dosages and include free shipping. 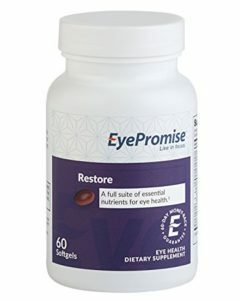 EyePromise Restore Eye Vitamins: Backed with over 20 years of scientific research, Restore can help prevent age related deterioration like macular degeneration. With high concentrations of Zeaxanthin (zee-uh-zan-thin), a natural protector from harmful blue light, Restore is proven to increase Macular Pigment Optical Density (MPOD). Low levels of MPOD are key risk factors for developing age-related macular degeneration. Current sufferers from age-related macular degeneration can actually slow and halt the progression of this eye disease by following a regimen of restore and daily multi-vitamins. 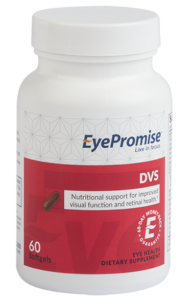 DVS: Diabetic Visual Function Supplement, is a science-based formula that supports blood vessel health without increasing blood glucose levels. Eye promise is designed to support retinal metabolism, structure, and function, promote blood vessel health, combat oxidative stress to help lower risk for diabetic eye disease. inVu Polarized Sunglasses: Our optometry office offers chic sun wear. 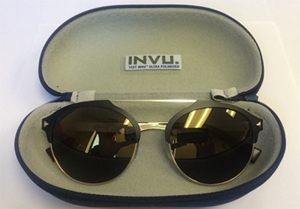 inVu sunglasses are Ultra Polarized and available in all the latest trend designs. You’ll look fashionable while viewing the world through high definition style lenses that don’t mute colors and allow crystal clear pictures. Much like today’s HD television sets, inVu Ultra Polarized sunglasses feel like you’re not even wearing a tinted lens. Your view is continually bright, clear, and focused. Your outdated sunglasses typically mute colors, offering an almost grainy picture of what you see. These frames are also available for prescription lenses, which means you do not have to sacrifice perfect vision for clarity and style. OcuSoft: Sometimes the problem is not your eyes themselves, but your eyelids. 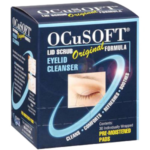 For relief with dry, scratchy, or irritated eyes we recommend OcuSoft eyelid scrubs. These non-irritating scrubs are clinically trusted to help remove excess oil, debris, pollen, and OcuSoft also helps remove leftover eye makeups. When used daily OcuSoft can help minimize your risk for eye infections, such as styes, and relieve frustrating eye annoyances. 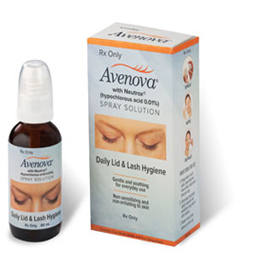 Avenova Spray Solution: Combat red, itchy, inflamed eyes with a prescription for Avenova. Our eye doctor will consult with you and your eye symptoms to see if Avenova may be a solution. When used twice daily, it is shown to help reduce eye irritants such as blepharitis, demodex, dry eye, itchiness, and even improve contact lens comfort. Contact Lens Solutions: If you just ordered new contact lenses you probably will also need some contact lens solution, as well. We offer top quality contact lens solutions that we can ship directly to you along with your order of contact lenses. 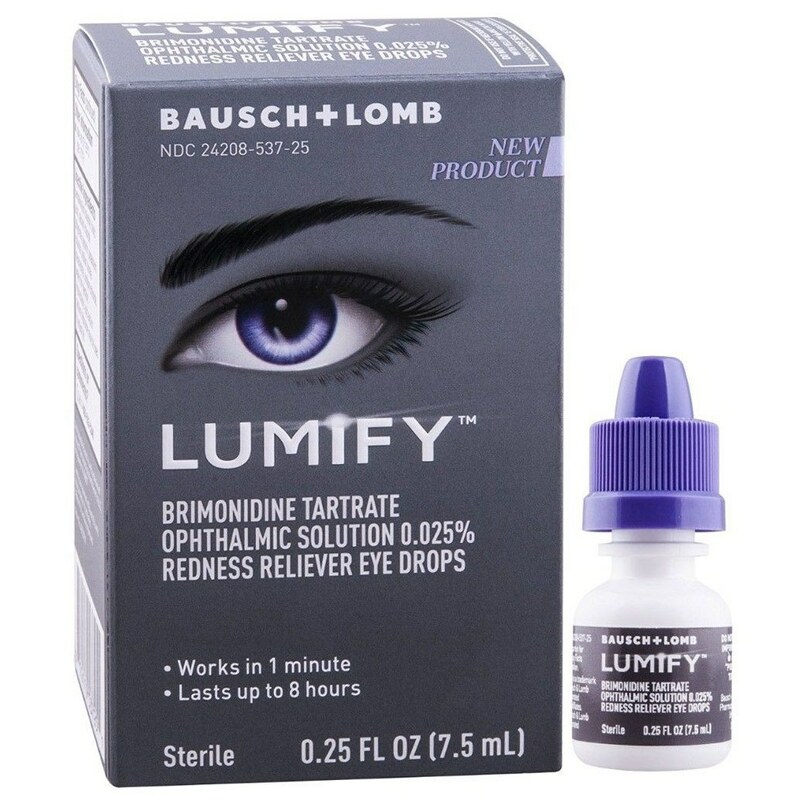 This saves you a trip to the drugstore and you know your solution is eye doctor approved. 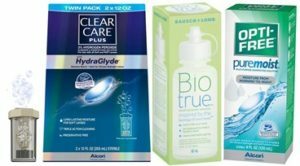 Our eye doctors recommend OptiFree, BioTrue, and Clear Care contact lens solutions for the most lasting comfort and cleanest contact lenses, again and again. 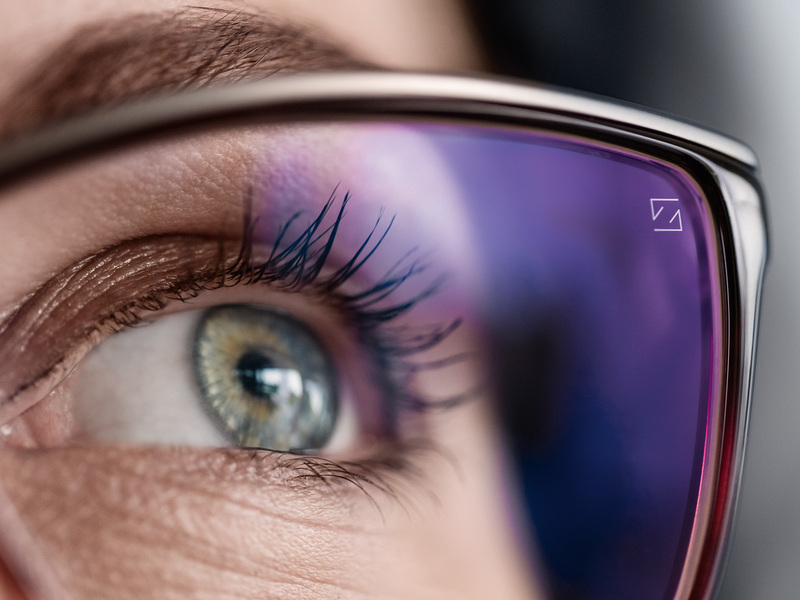 Anti-Reflective Readers: You may be aware that as you grow older your eyes begin to change often resulting in the need for “reading glasses” Our optometry office offers high-quality reading glasses that have anti-glare lens. 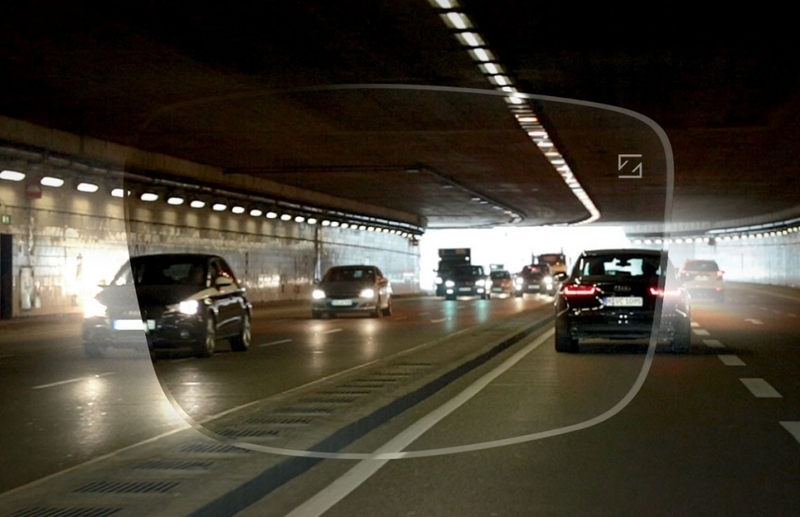 Anti-glare lenses are extremely helpful in minimizing troublesome glare that reflects from everyday items such as cellphones and computer screens. Each pair comes with its own stylish case to safely store your glasses when not in use. MiraFlex, Infant Eyeglasses: Eye Doctors recommend that your newborn gets his or her first eye exam between 6-12 months of age. It is crucial to monitor your infant’s eye growth at this time to ensure important development and monitor any changes that may be occurring, unknown. Our InfantSee program offers free eye exams for infants aged 6-12 months. Sometimes babies need eye glasses much like a child, teenager, or adult. However, infants have difficulty keeping a standard eyeglass frame on their face, which is why we offer special eyeglass frames designed specifically for babies. These unique frames come with an attached head strap that snuggly holds the frame on the infant’s face so they can see their new world clearly. These frames are hard to find in most eye doctor’s offices, but we want to ensure your loved newborn has the best care and options available.